The solar leasing trend has certainly taken off. Over 75% of new solar homeowners in California are leasing solar! This finding comes from a new Climate Policy Initiative report on California solar policy and consumerism that includes a comparison of California solar leasing and California solar purchases. The report comes to a number of interesting findings, but the finding on the shift from solar ownership to solar leasing is probably the most interesting. In 2007, only 10% of California homeowners were going solar through a solar panel leasing arrangement. 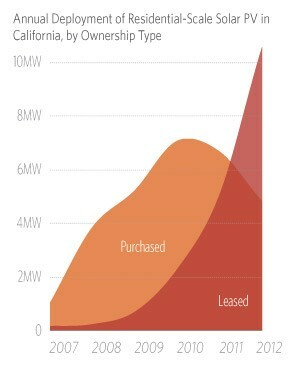 The shift to over 75% solar leasing in 2012 is significant. 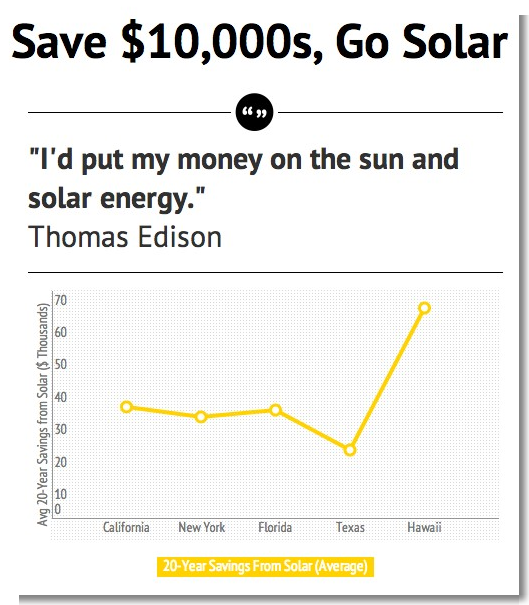 Also, it’s worth noting that solar leasing companies don’t give you a bad deal. Solar leasing companies can actually take advantage of some federal solar panel incentives that normal homeowners can’t take advantage of. From Day 1, or very close to Day 1, solar leasing customers should benefit from savings on their electricity bills that outweigh their monthly solar leasing payments. The leasing companies also take care or maintenance, doing the paperwork to collect on your solar tax credits and rebates, and other such issues. The solar leasing trend is certainly a hot one, as you can see from the California solar leasing and solar ownership study referenced above. However, there’s a lot of variation in solar policies across the US, and the best solar option for your neighbor may not even be the best solar option for you. The only thing that is more or less constant is that going solar is a smart financial decision for people all across the country, saving each of them tens of thousands of dollars. You can find out the best solar option for you by completing our very short form. We can help you to find what solar incentives and policies exist in your area, and we can help you examine the advantages of solar leasing versus solar panel ownership. Don’t delay and lose out on the tremendous solar options available today!